Blackhawk products are known as some of the highest quality gear available for the serious shooter. This STRIKE M16/AR-15 double magazine pouch, is constructed of 500 denier Ripstop Nylon with heavy duty stitching. The pouch fits two 30 round AR-15 magazines. 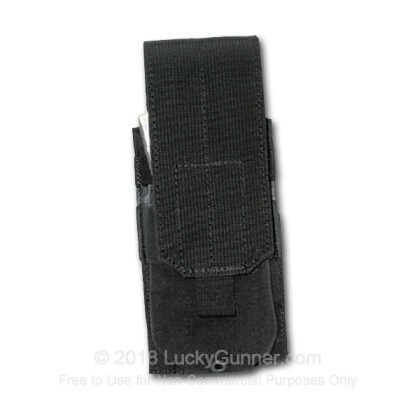 This magazine pouch is compatible with MOLLE gear.